Searching property online is highly competitive. Here’s how to compete. Apartment, Property Website design Richmond VA. It takes an exceptional website design to compete in a tight market. Apartments.com, Loopnet, Zillow and other 1000 lb. gorillas compete in the same online space. Here are ways to can attain search engine ranking equality in a crowded marketplace. Present your message in 3 seconds or less. From the very moment your home page loads you are on stage. It’s time to make your pitch. The challenge is keeping your audience engaged with visual cues and call to action messaging. 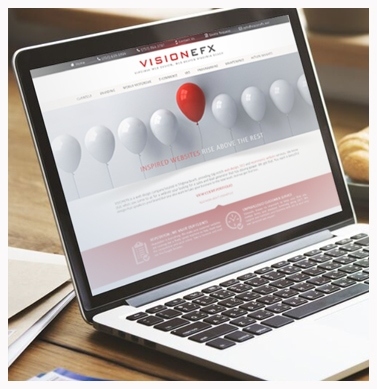 VISIONEFX works with you to fine-tune your message from the home page through your contact page. We design mobile responsive, business driven property website design. Website for capturing leads and inquiries from perons searching apartments, properties and office space over search engines. We are web design professionals, experts in Apartment, Property Website design Richmond VA. Over the years our clients include; Wheeler Real Estate Trust (REIT), Bay Creek Resort, Wynn Residential, Hudson Enterprises, United Properties Associates, Perrine Consolidated Properties and Olympic Development name a few! VISIONEFX is a experienced digital design agency. We are dedicated to growing property management and real estate businesses online through web design, and search engine optimization services. VISIONEFX will take your website design to a whole new level of excellence. We also build Ecommerce website design Richmond VA online stores.